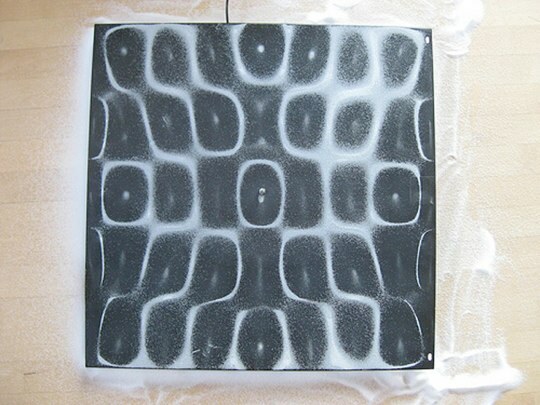 Reason 5,672 why salt shouldn't be banned: artist Meara O'Reilly uses it to create this series of beautiful patterns. 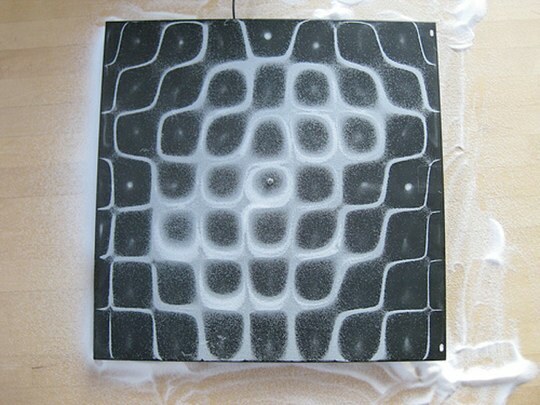 O'Reilly sings different tones into a mic which is hooked up to a Chladni plate — a plate used to illustrate two-dimensional vibrations — that's covered in salt. 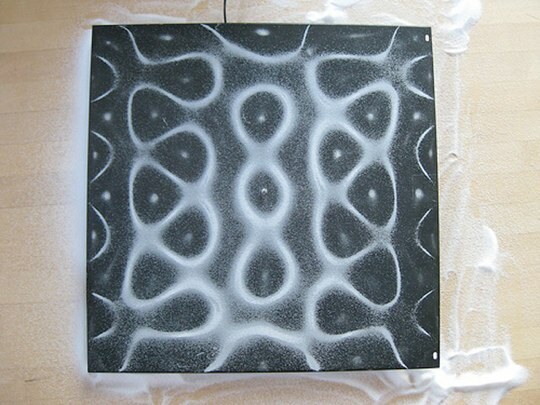 The salt then sort of bounces into the patterns seen above. Hit the jump for more pictures of the salt patterns, and a fascinating video of how they're formed. You might want to watch the video on mute, though; the shrieking tones required to make the neat patterns get a little repetitive.